Hooray! 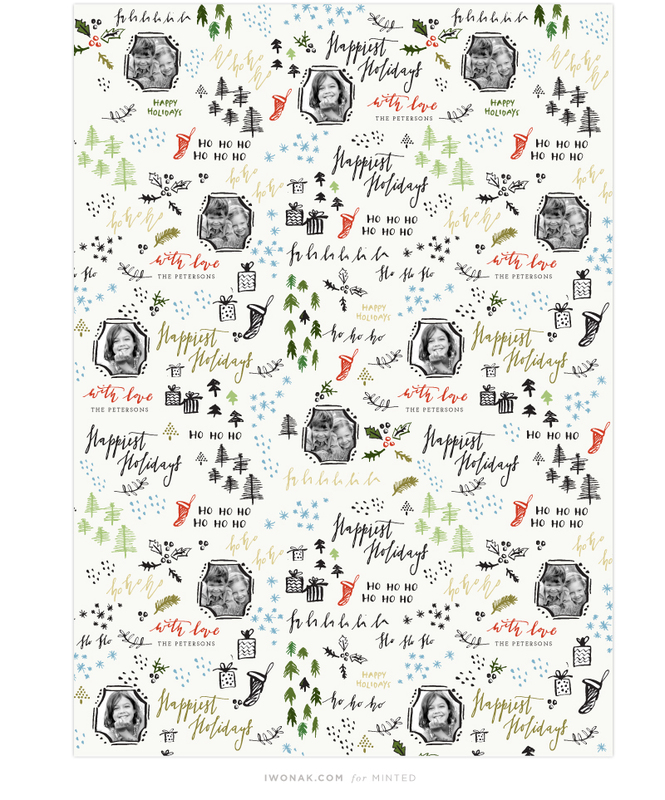 As of today, Calligraphy Love – my holiday gift wrapping paper is available for sale! 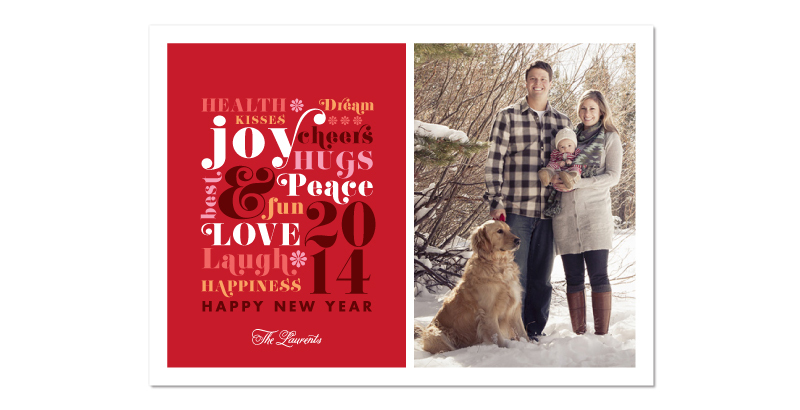 You can customize it with names, family photos, unique messages and more! 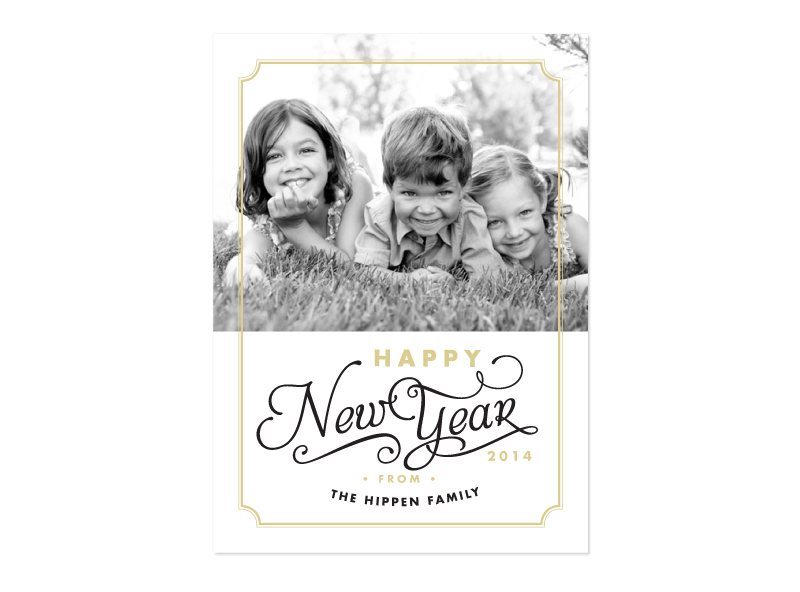 It’s printed on luxe matte paper and available in sets of 5 sheets; each is 20″ x 28″ and costs $15.00. 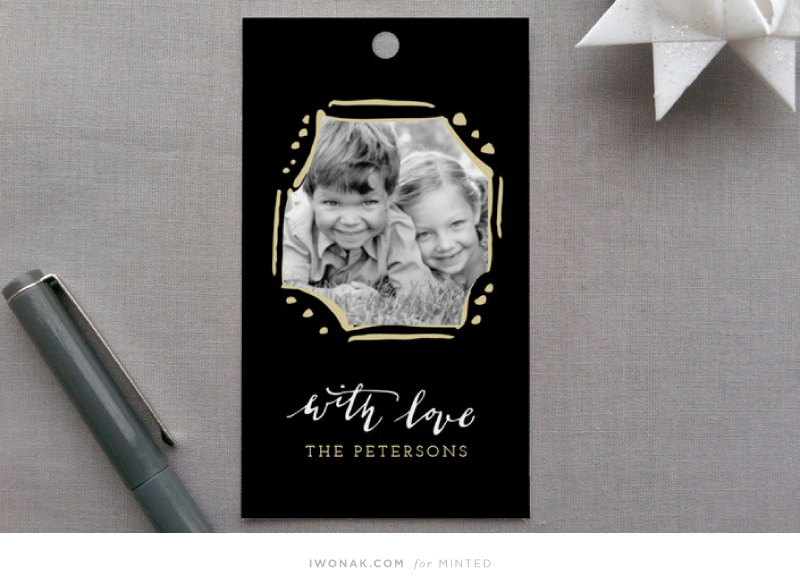 I’m dying to have this in my hands and cannot wait to use it for our Christmas gifts this year! 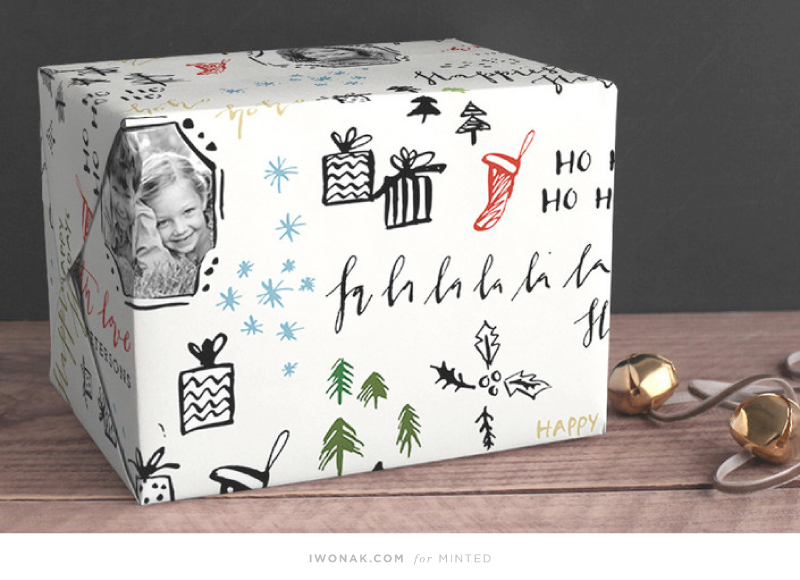 This is going to make wrapping gifts this year SUPER fun! Kids will go bananas! 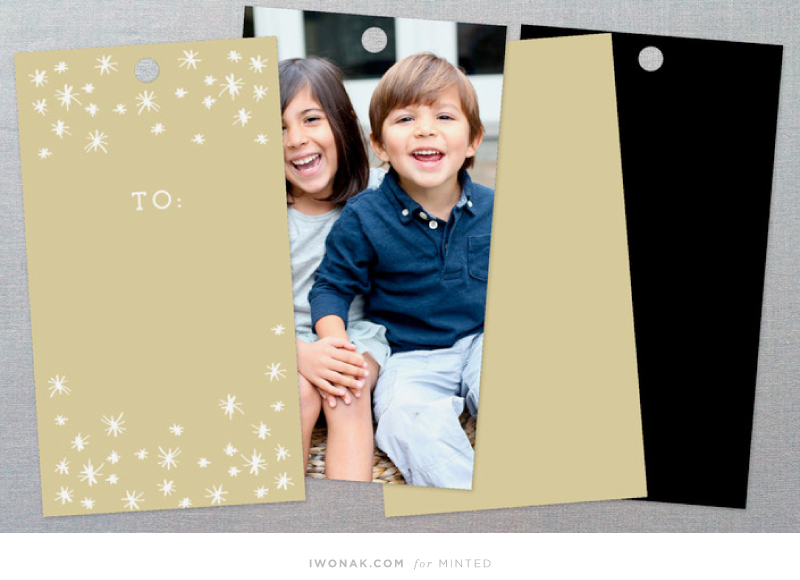 You can also add the perfect finishing touch to all of your holiday gifts with these chic and customizable gift tags. 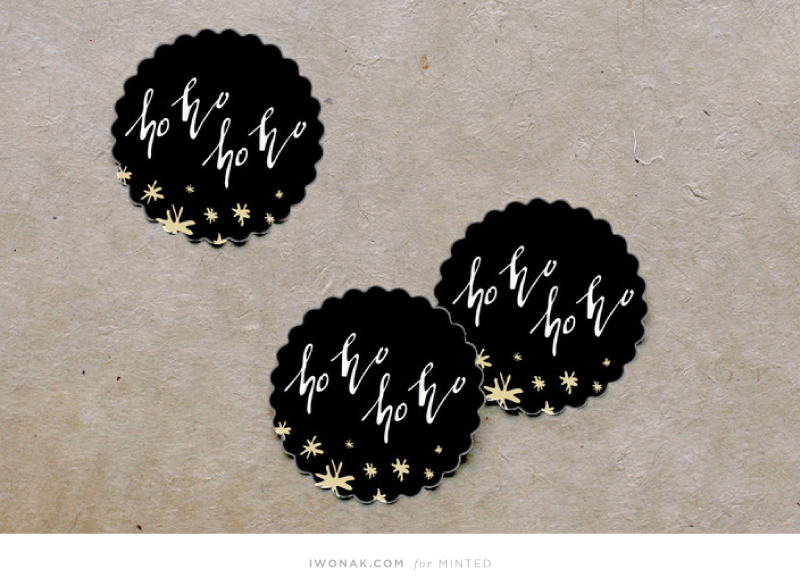 Or those adorable little stickers. Available here . Calligraphy love personalized wrapping paper comes in 3 different color ways. Below in raspberry and mint. 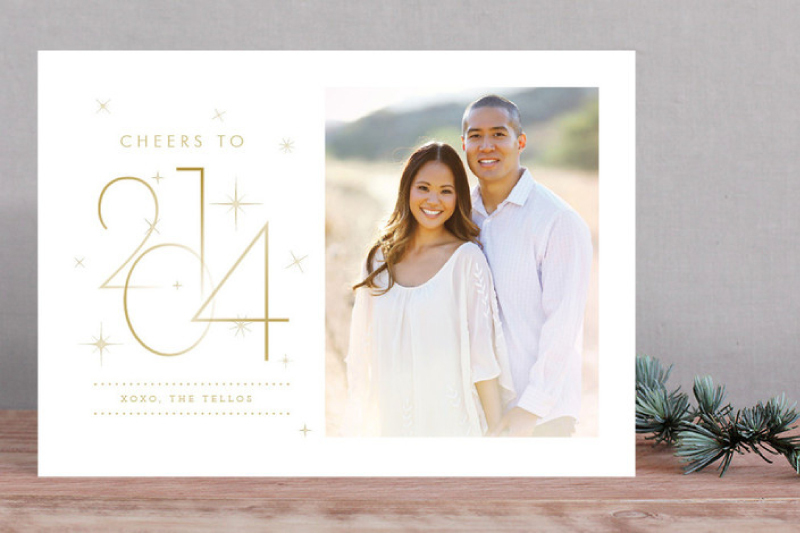 A few weeks ago, Minted launched it’s amazing line of holiday cards. 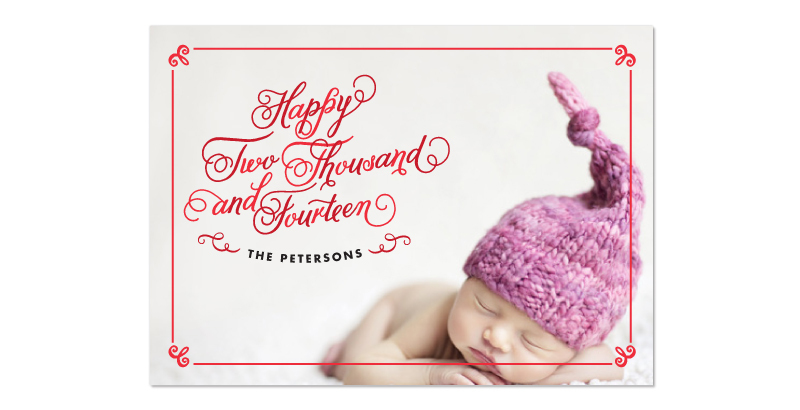 I am super excited to have two of my designs included in the latest collection of Happy New Year’s Cards for 2013. 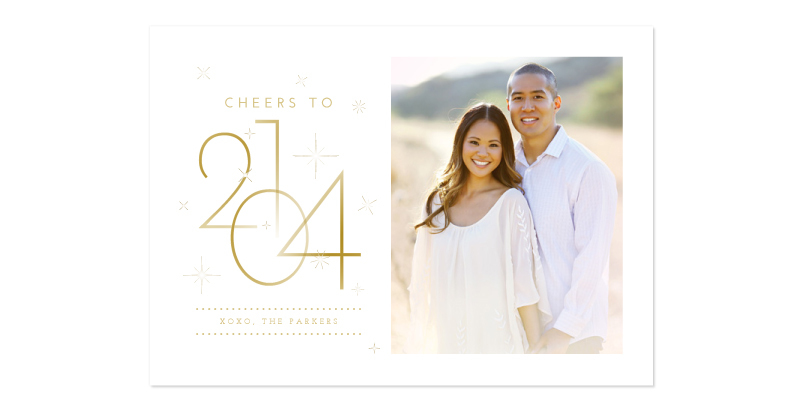 Check them out here, they are now available at Minted.com. They’re super cute! Send your loved ones unique cards this holiday season. fabulous variety of die cut shapes. 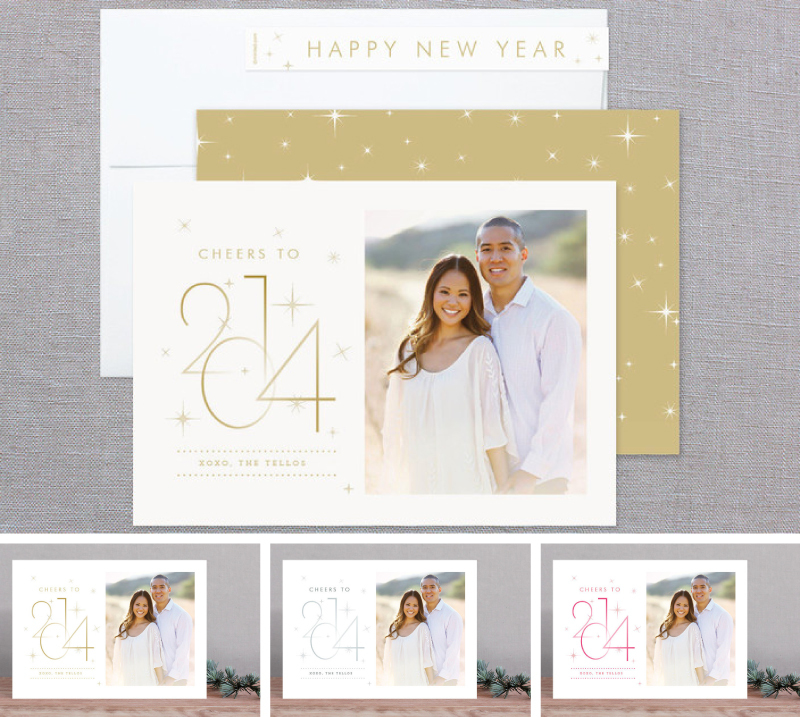 Elegant and Sparkly New Year’s Photo Card is available in three color options and a variety of die cut shapes. I have more good news this week! 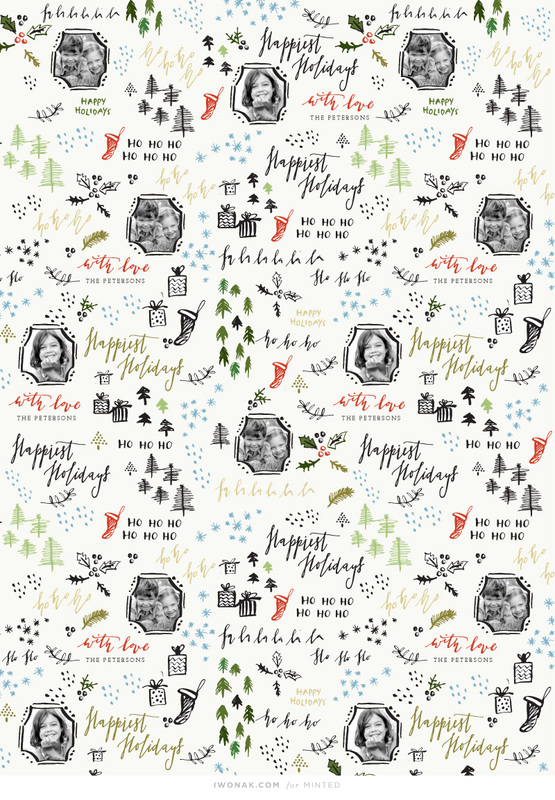 Please meet Calligraphy Love – my holiday gift wrap that will be available exclusively at Minted.com. 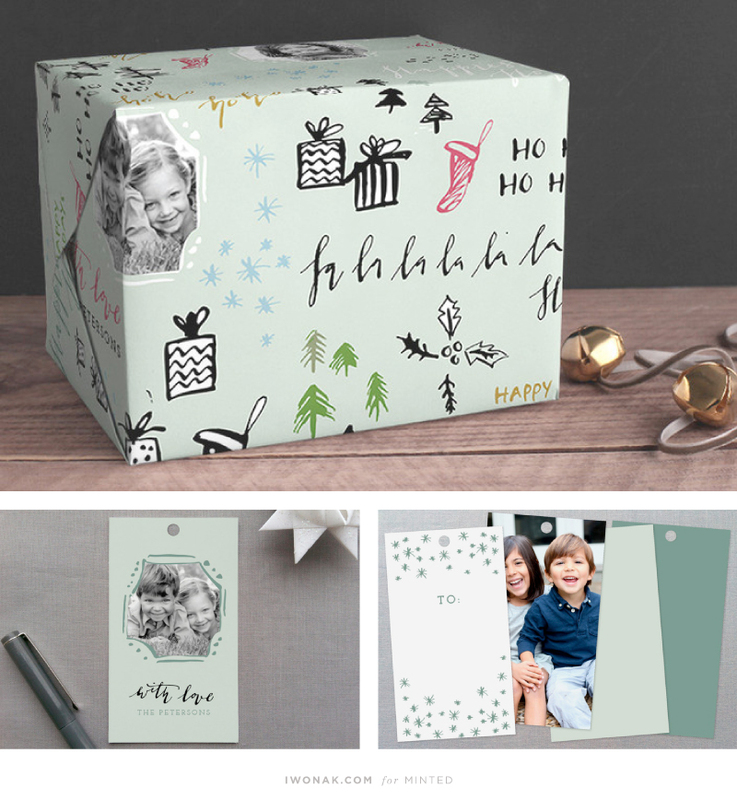 It was an Editor’s pick in Minted’s Outside the Box Holiday Gift Wrap challenge. I feel lucky to have itpicked out of 464 submissions! 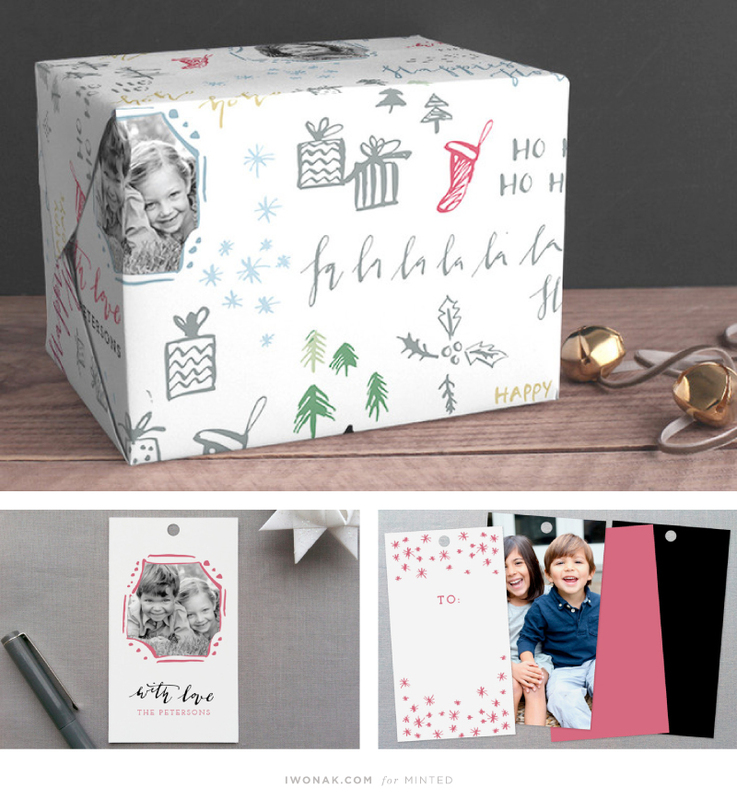 Minted launched it’s inaugural collection of unique, personalizable gift wraps for the upcoming 2013 holiday shopping season and I’m excited to be included! I took some time off from working on my website redesign and submitted 2 designs for this challenge. I practiced my calligraphy, experimented with custom ink and obviously it paid off ;) Now, I can’t wait to buy my own wrapping paper! I’ll let you know as soon as it’s available for purchase. UPDATE: You can purchase it here. 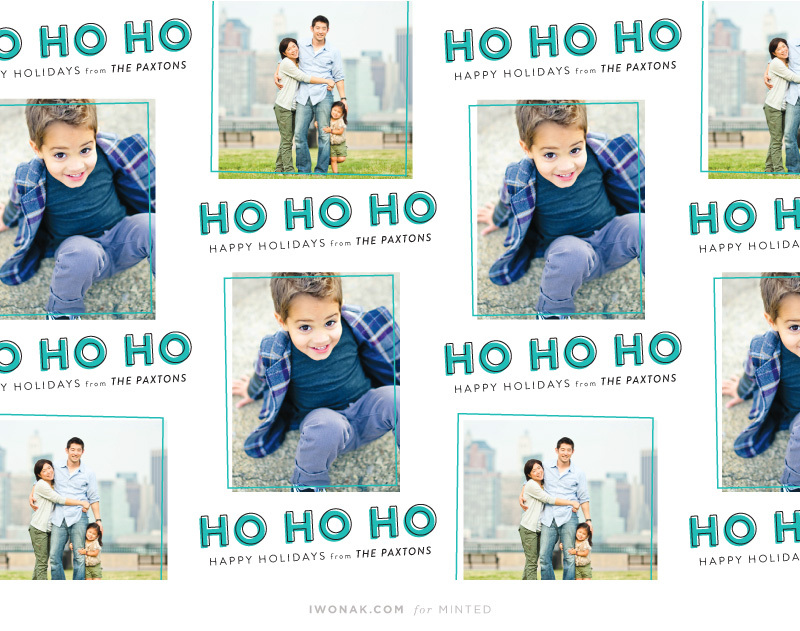 I have decided to enter another Minted.com challenge. 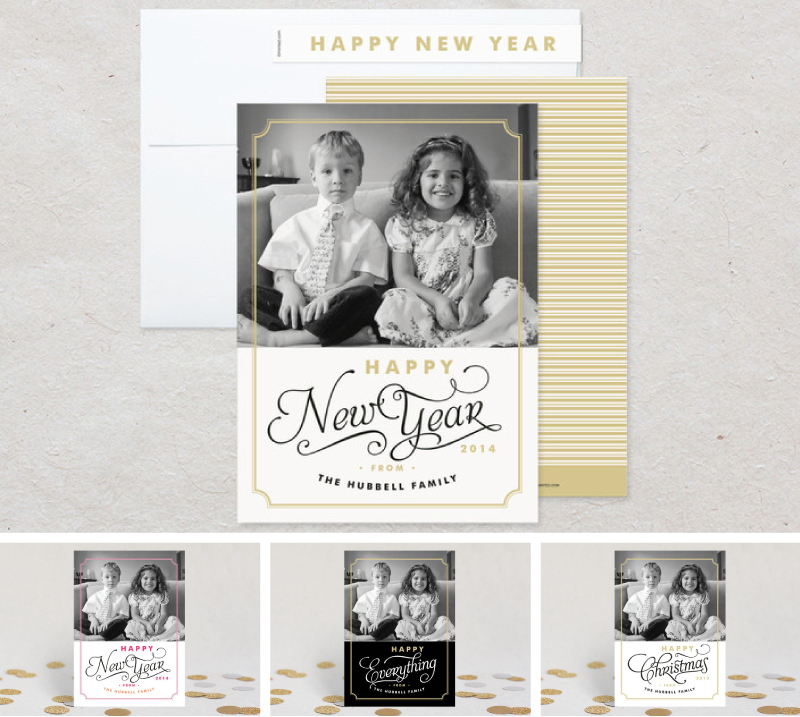 I have designed four designs for The Happy New Year’s Cards Challenge. Pretty weird to be designing for winter holidays in the Summer but somehow I’ve put myself in the mood. Christmas music on and voila! There is 584 submission for this challenge, so keeping my fingers crossed. Please help me out and cast your vote! 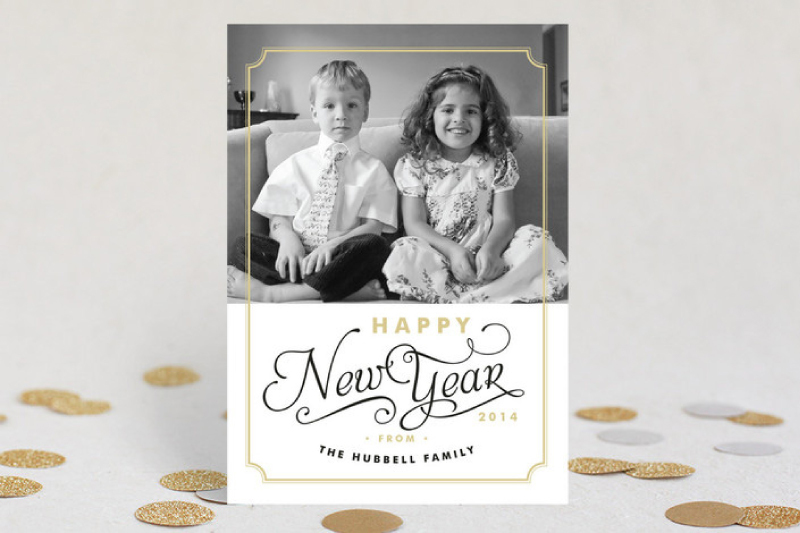 If you rate 50+ designs in the challenge, you will get 10% off your next Minted order. I appreciate all the help & support! 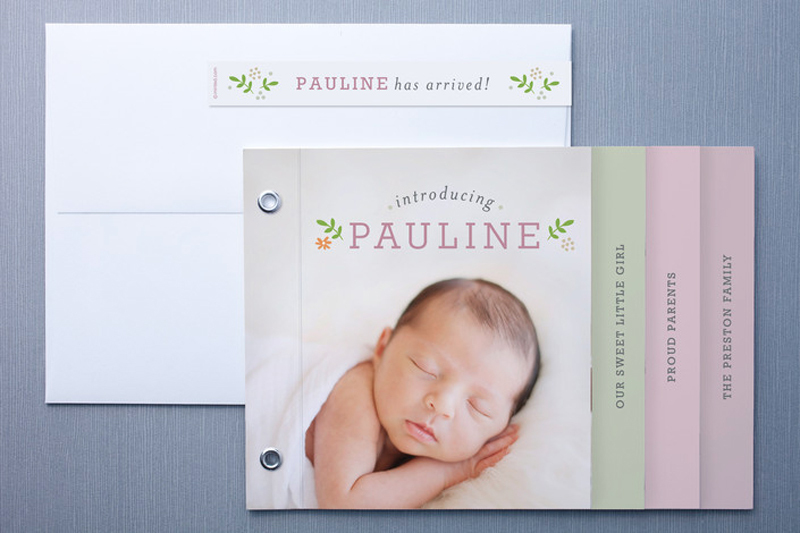 I recently joined the Minted community and entered my first design challenge: Minibook Birth Announcements Challenge. I submitted two designs in this competition, and am happy to announce that one of them was a winner. 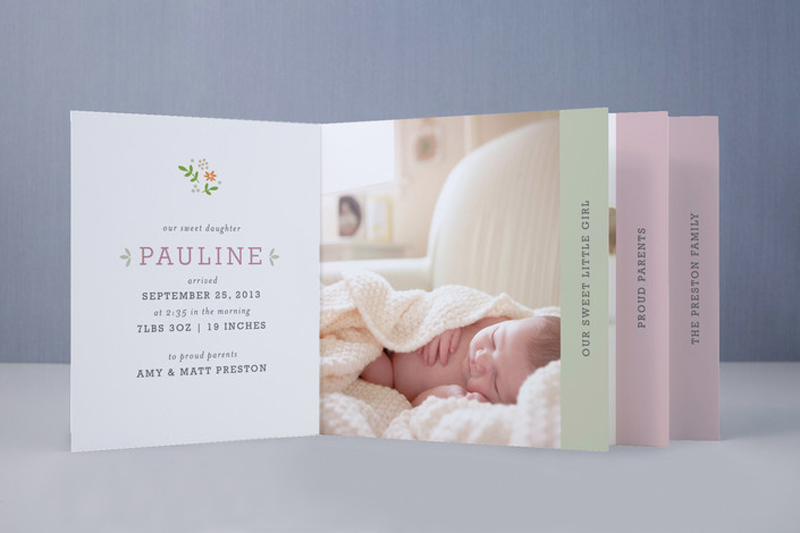 Sweet Pauline is available for purchase through www.minted.com! P.S. 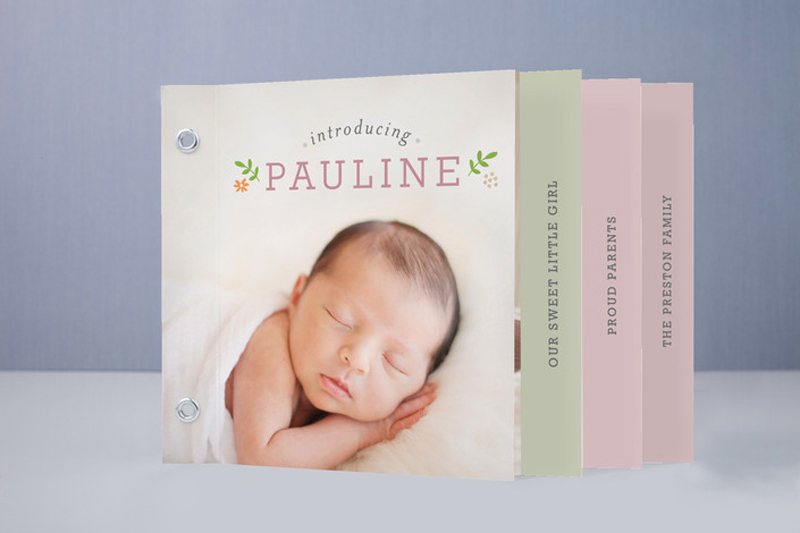 A Minibook is a unique piece of stationery featuring chic grommets and seven pages that can be personalized with photos and text.